This great account of the first Easter morning is glorious. This will be my preaching text on March 27 – Easter Sunday 2016. I cannot wait for Easter 2016 at Lakeside! Please let me share three thoughts about this coming Easter Sunday for our Lakeside family (and any other readers). 1) We are having a special schedule on Easter Sunday in order to reach more people. I will be sharing more details Sunday and on this blog, but we will have worship services at 9:00 and 10:30 a.m. on Easter Sunday in order to maximize people being able to attend. 2) We will be giving our Lakeside family tangible ways to invite someone for Easter services. 3) We will be planning our Easter services and all that happens to give people the opportunity to come to Christ and have a great experience in church that day. I am praying for people to come to Christ on Easter Sunday. I am praying for record numbers of people who have never set foot in our building to come on Easter Sunday. To our Lakeside church family, I am asking you to help me make this Easter the most prayed for Easter in the history of our church. Easter clothes and Easter pictures are fine in their place, but let’s make sure we let the heart of Easter and the message of Easter be foremost at Lakeside. What a great opportunity for our great Lord to receive honor and glory! This week, my heart has been moved to pray for persecuted believers in a greater way due to two events in my own life. First, my youngest son, Daniel, had a group project at school dealing with a foreign country. His group chose North Korea and Daniel was tasked to study how Christians live in that country and how the gospel is shared there. As I helped Daniel with the research aspects of this project, my heart was broken to read of the horrendous circumstances believers live under there. By just about every account, North Korea is the most hostile nation on earth to the Christian faith. Yet, there are an estimated 100,000 believers there who meet in secret and share the gospel faithfully. The second event involves my preaching ministry. One of the great advantages of preaching verse by verse through scripture is that it forces you to deal with subjects that would not come to mind otherwise. For instance, in all the years I have preached, I have never preached a message about persecution of Christians. However, in my preaching, the passage above is where we will be this Sunday. In studying this passage, I was brought face to face with a Biblical truth that Christians in America do not like to think about: the Bible teaches that persecution is to be expected. The environment that Christians in America have enjoyed has not been “the norm” for most Christians who have ever lived. We have enjoyed unprecedented freedom, prosperity, and cultural affirmation of our beliefs. That is changing before our eyes, but I would never describe what is happening to Christians in America as persecution. Not when you look at what is happening to Christians in other places. Voice of the Martyrs www.persecution.com is a great ministry and great resource to learn more and pray specifically for persecuted believers. It is estimated that 100,000,000 Christians are living in persecution RIGHT NOW. Let that reality sink it. Then pray. That Bible verse echoed in my mind last night in the gymnasium of Homewood High School as a season in my son’s life and the life of our family ended. 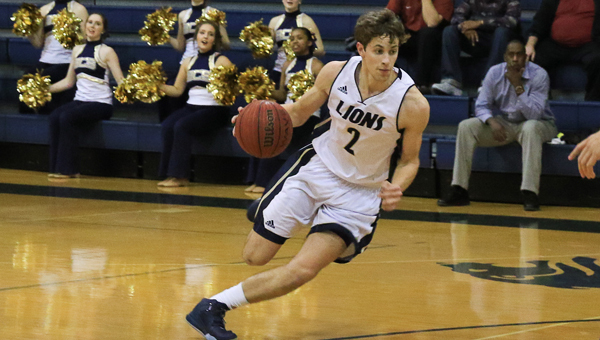 Our Briarwood Lions lost to Pelham in the area tournament, ending our season and the high school basketball career of our oldest son, David. It was not the easiest of nights for our family. You cannot understand it until you have a night like that one. It was an emotional night. On the way to the game, Becky and I talked about the first time David played basketball – in 2nd grade Upward Basketball. He did so well that the next year he got recruited to play on an RA basketball league team! Every winter for the last ten years, we have been in the stands cheering for our son and his team. It’s just been part of our life. We do not know anything else. There has always been another season – “next season maybe we can…” Now it’s over. There is no next season. That’s hard. The looks on the faces of the other senior parents (and the tears) told me they were feeling the same emotions. It was a night to remember and celebrate our son. We remembered that undefeated RA team back in 3rd grade – with David being one of the leading scorers. We remembered that three-pointer David made at the buzzer in 8th grade against Whitesburg Middle. We remembered the night up at Skyline he was chosen All-Area as a 9th grader. We remembered his 34 point 20 rebound game as a 10th grader at Paint Rock Valley. We remembered his tw0-handed slam dunk in a game against Shelby County in 11th grade. It was a night to see once more how basketball has helped my son grow up. He learned to play on a team. He learned to respect authority and accept instruction from his coaches. He learned that life (officiating) isn’t always fair, and you get mistreated. He learned to come back from failure after losses, and not to take success for granted after wins. Our family moved to Birmingham after David’s 10th grade year, which meant he moved from playing 1A basketball to playing 6A basketball. The players were bigger, stronger, and faster. Points and rebounds were much harder to get. He wasn’t “the man” on this team. His new team played a different style, and was filled with experienced players who had been in the program for years. He struggled at first – and his playing time reflected that struggle. However, David hung in there, kept working and became a good contributor off the bench during the last few games of his junior year. This season, he started every game and was a key player at a 6A school. Yes, David learned about basketball, but he mostly learned about life. He grew up. You can’t put a price tag on that. It was a night to be grateful for coaches and teammates. We don’t have coach horror stories. Every coach David has had loved him and influenced him in a positive way. David played many years with the same set of teammates up in Huntsville at Whitesburg Christian Academy. The memories made with those young men will never be forgotten. They are a treasure. Fittingly, those boys played their last game last night as well. David, Tanner, and Andrew went out together – just a few miles apart. When David walked through the doors of Briarwood Christian School his new teammates immediately accepted him even though most of them had been together for years. They let David into the circle, and their kindness to him at an awkward time will never be forgotten. David’s teammates at Briarwood are some of the finest young men I know, and I am proud he got to go to battle with them. It was a night to treasure friends. Parents of athletes have a special bond. You spend so many hours together in the stands. You eat so many meals together after road games. You live and die together every time the whistle blows. As the clock ticked down last night, I treasured the many games I sat by my great Huntsville friend Eddie Richardson as we – ahem – educated officials on some of the finer points of the game of basketball. I also treasured the looks on our wives faces! Here at Briarwood, the “pre-game analysis” with Ricky Miskelley and the detailed x’s and o’s breakdowns with Jeff Travis have been priceless. Finally, it was a night to look ahead to the next season. It won’t be a basketball season, but the next season of life for our son and our family. It won’t be like this season that just ended, but I am praying it will be just as blessed and just as rewarding. God is good. This week during my personal Bible reading time, I was blessed to have a familiar scripture speak to me in a profound way. Jesus has just finished the last supper with his disciples. In a few short hours, he would be hanging on the cross – bearing the sins of us all. In these verses from Mark 14, we have a great window into the full humanity of Jesus. Please understand, the Bible teaches that Jesus was both fully God and fully man. He was deity clothed with humanity, but he did not cease being divine. The Word became flesh and lived among us. In his humanity, Jesus suffered terribly. He knew the horror of being crucified. He knew the incalculable burden of bearing the sins of us all. He knew what was ahead, and, in his humanity, it seemed unbearable. So Jesus prayed. Jesus prayed an honest prayer reflective of how he felt in that moment. Jesus asked not to have to drink the cup of suffering. It’s like Jesus is saying, “Father, if there is any way, don’t make me go through this.” The gut wrenching honesty of that prayer is there on the pages of God’s Word for all to see. Nevertheless, Jesus was submissive to the Father’s will. After that excruciatingly honest prayer born out of excruciating anguish of spirit, Jesus said, “I willingly accept your plan.” Jesus would not argue or resent what was to come. He would go through it and accept it as the Father’s will. Don’t miss the pattern of Jesus’ prayer right here. Be honest with your feelings and requests before the Father. Be submissive to the Father’s sovereignty, trusting that His plan is best even if it means excruciating pain. In one single sentence, our Redeemer shows us the way to avoid both bitterness and numb fatalism…”Take this cup away from Me. Nevertheless, not what I will, but what You will.” There is no conflict between respecting God’s will and honestly praying for God to change a situation. Jesus does both in one sentence. What does this mean for us today who read this blog? It means that it is perfectly OK to be honest with the Lord and pray hard in the face of tough situations. Honesty before the Lord is not an affront to Him. It also means we can face unbearable burdens knowing that our Heavenly Father’s plan is for our good and His glory. Honest prayer with humble submission in the end. On the day of our worst pain, we can follow the example of our Redeemer.